Anthony Joseph Tulino, a postal worker from Florida, pleaded guilty to violating the Antiquities Act of 1906 yesterday. The gun has been missing since it was stolen from a display case in 1990. 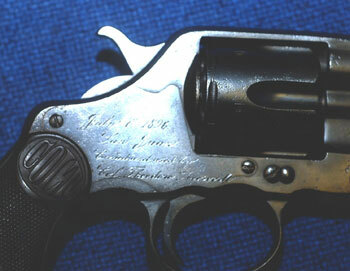 Roosevelt carried the 1892 revolver during the charge up Cuba’s San Juan Hill in 1898. Roosevelt signed the 1906 Act into law, as a very early effort to protect the theft of relics from Federal property. The FBI’s Art Theft Unit recovered the gun earlier this year, and it was returned to Roosevelt’s former home in Sagamaore Hill near Oyster Bay, New York. Tulino faces up to 90 days in jail and a $500 fine. The revolver has been valued at up to $500,000. This human touch cannot be duplicated by the software programs currently available. If this is you, you may want to consider a position that feeds this need. It iis a personal decision and one that should not be taken lightly.